Richard Branson is the face, spirit and entrepreneurial mastermind behind Virgin, one of the world's most dynamic brands. Credited as one of the world's greatest brand-building visionaries, Branson has expanded his company into many diverse sectors, from travel to telecommunications, health to financial services, and music to leisure. There are now more than 100 Virgin companies worldwide, employing approximately 60,000 people in over 50 countries. Branson’s unconventional style of living is only a part of his undeniable talent for beating impossible odds in business and in life – a talent he is thrilled to share. Crediting "fun" as his guiding life principle, Branson is also known for his cheeky, yet inspiring, world record attempts, including being the first to fly a hot air balloon across the Atlantic. Proving that one can "have fun while making a fortune," he has become revered for his unconventional management style and uncanny ability to motivate his employees. Branson has also made it part of his mission to support global causes. With the help of Nelson Mandela he started The Elders, a group of eminent global leaders who come together to "promote peace building, help address major issues of human suffering, and promote the shared interests of humanity." He is also the founder of the Carbon War Room, which works to increase the effectiveness of climate change efforts that are already underway. 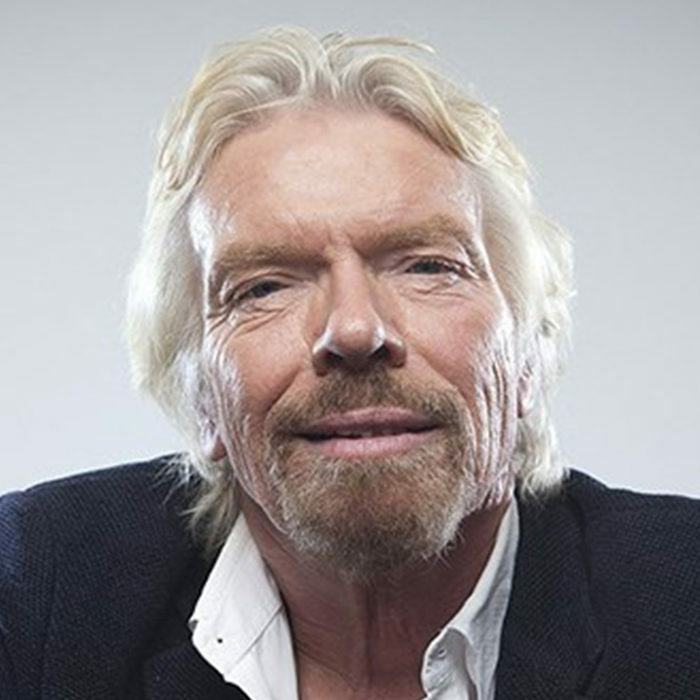 Richard Branson is one of the world’s most colorful iconoclasts and one of the most requested and outspoken speakers. Famous for his daring entrepreneurial style, he oversees one of the world’s most popular brands – equally attributing his success to surrounding himself with good people – again setting the example that it is possible to having millions, and modesty, in the same lifetime. Today, Branson offers audiences a personal example of what they can achieve by incorporating a little fun and risk into their own business. It is also important to remember that Sir Richard was not born a billionaire – nor a knight. He started with the same motivation and potential as you, or any other entrepreneur out there, with the courage to jump into the deep end of life with an open mind, and a full heart.